I wanted to show you one of my last little dioramas, this time I created something in an other scale H0 or 1/87. The basic scenery were a box from Woodland scenics. I found that in a model railroad store in the near of my home. 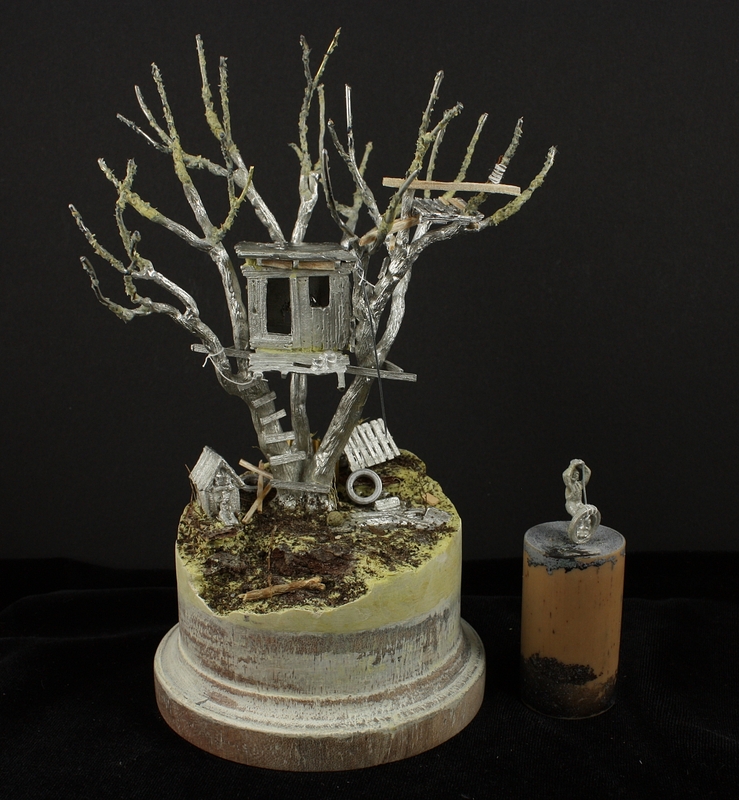 I added some parts, like a bigger base, some old tires and palettes and some more branches. I think this won't be my last smaller diorama. In smaller size you can create much bigger scenes without needing huge space. 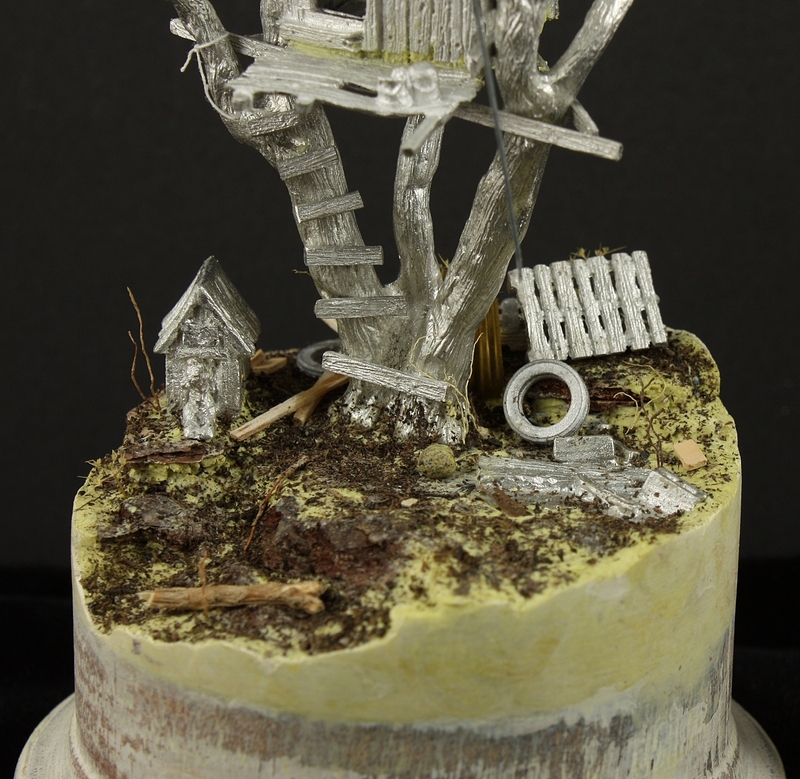 Pretend what a base you need if you want to create a realistic tree for a 32mm figure or a 54mm figure. Here is a link to cmon and P&P Thanks for votes or answers. Really cool scene, love all the details!